Holding your own Diamond Jubilee celebrations? Organising an Olympic party? Holding your own Diamond Jubilee celebrations? Organising an Olympic party? Mark the occasion and decorate your home in patriotic style with Diamond Jubilee decorations. Feeling patriotic? 2012 is the year for it with the Queen's Jubilee and the Olympics to celebrate. 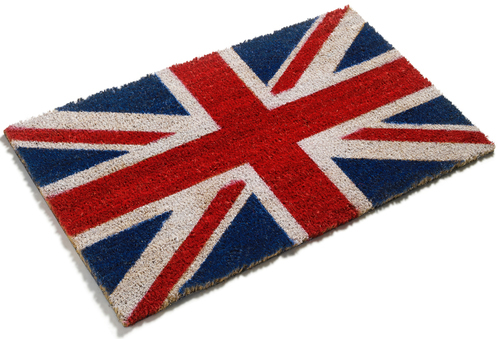 Get into the spirit of the season and adorn your doorstep with our Union Jack Doormat. At only £12.50 per doormat they’re a really affordable way to decorate your home for this very British summertime. Order online 24/7 at www.makeanentrance.com or by phone 020 8819 5869. We’ll do the rest and deliver straight to your door. Please order in plenty of time, as we expect demand to be very high. Sam Burlton at Make An Entrance on 020 8819 5869 or marketing@makeanentrance.com. With over 30 years experience in the production of hand finished coir door mats Make An Entrance is an expert in it’s field. Our craftsmen specialise in creating hand stitched made to measure door mats, using techniques that have been handed down through generations. Today these skills are combined with the latest technology to enable us to offer state of the art custom made branded logo mats, for businesses and personalised door mats for homes and gifts too. This press release was distributed by ResponseSource Press Release Wire on behalf of Make An Entrance Limited in the following categories: Leisure & Hobbies, Home & Garden, Women's Interest & Beauty, for more information visit https://pressreleasewire.responsesource.com/about.